We all know hydration is important - but how much should you drink for a fully functioning body? We’re always being encouraged to stay hydrated. Water is essential to our health and wellbeing, in so many different ways. But how much water do we actually need? It all depends on individual metabolism, how physically active we are and the environmental conditions we live in. If we don’t drink enough fluids to replace the approximate 2,000-3,000 mL of water we lose each day, we can become dehydrated, and even as little as 2% dehydration reduces our physical and mental performance. 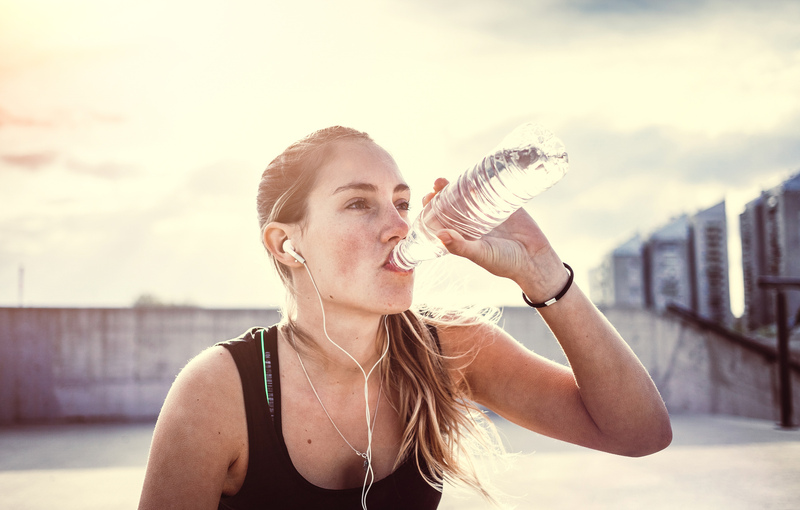 We lose even more fluids when we exercise (the amount being a little more than the body weight lost in the period of exercise) and we also need to top up our fluids to remain hydrated in a hot climate. Women who are pregnant need to drink around 10% more, and women who are lactating also need to top up throughout the day. Although we talk about how much ‘water’ we need, all drinks, including milk, tea, coffee and flavoured drinks are counted as fluids. The outdated belief that tea and coffee caused dehydration is no longer supported and to the joy of many, the cups of tea and coffee we consume can be ticked off in our daily fluid tally. Water of course has an advantage over soft drinks, cordials, fruit drinks, vitamin waters, energy and sports drinks for two main reasons. Firstly, it has no kilojoules, and the extra kilojoules we drink can be the cause of unwanted weight gain. Secondly, it has a low acidity – while soft drinks, fruit juice and artificially sweetened soft drinks are acidic, which can erode teeth enamel. Remember that this calculator is a guideline only. Top up your fluids when you exercise and when the temperature rises, and don’t wait until you are thirsty. Keep sipping throughout the day to keep hydrated and functioning at your best. Do you know your STIs?